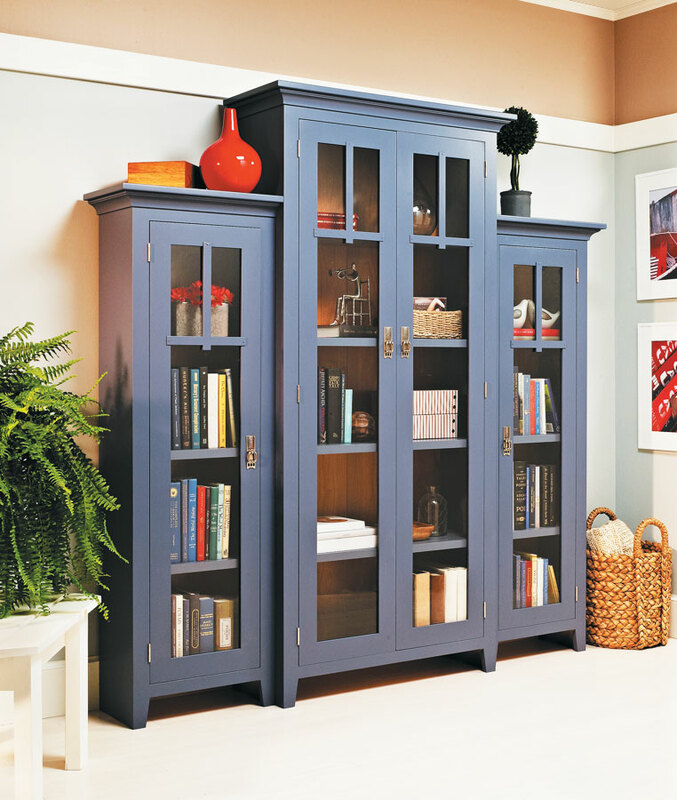 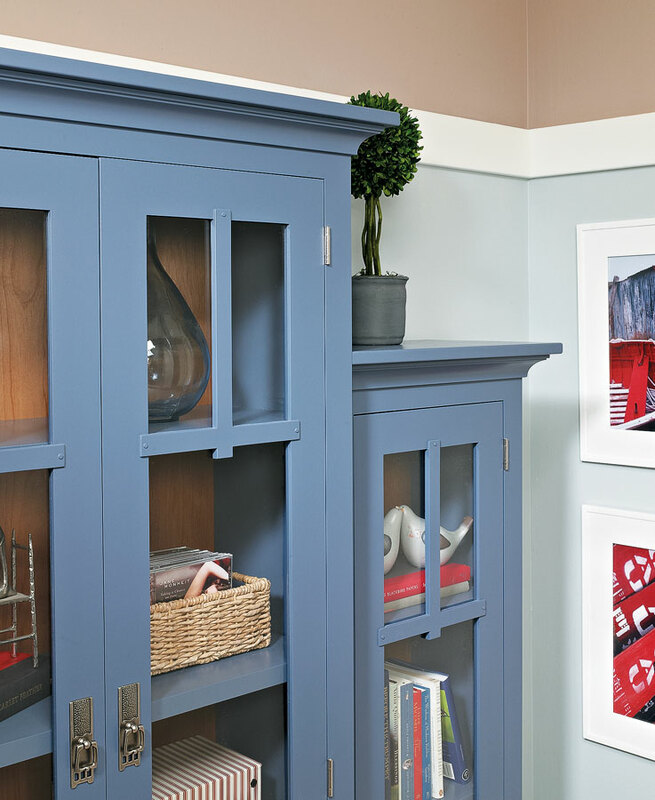 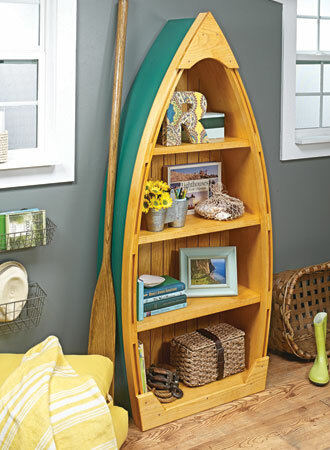 With its "step-back" construction, glass-panel doors, and bold finish, this bookcase begs to be noticed. 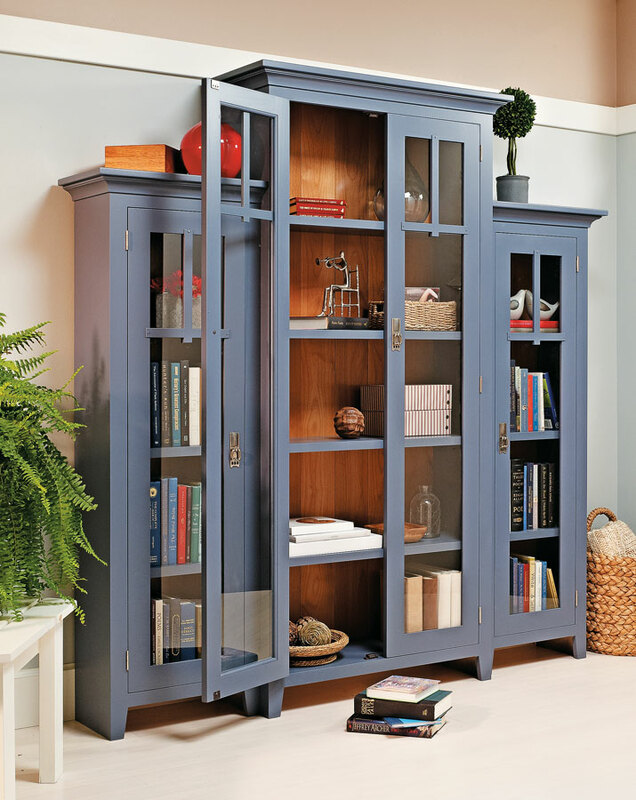 Despite its elegant look, this bookcase is easy to build. 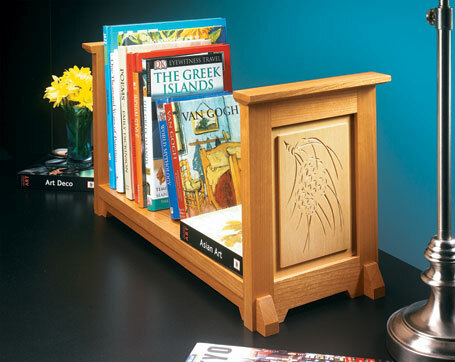 At its essence, it's nothing more than three plywood boxes put together with tongue and dado joints. 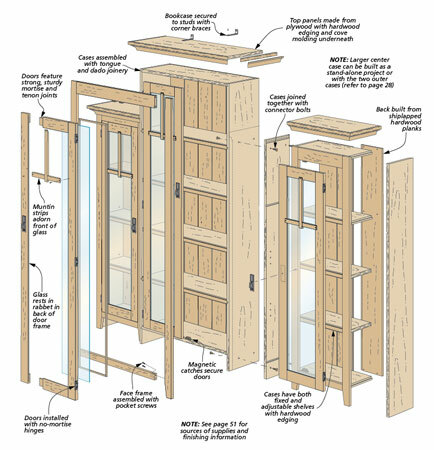 The fine-furniture feel of the project is provided by solid-wood face frames, hardwood backs, and glass-panel doors. 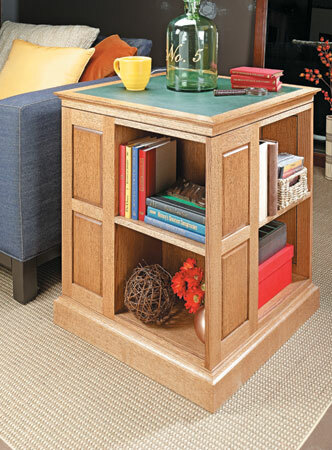 Keep a few volumes from your library close at hand with this stylish bookcase.